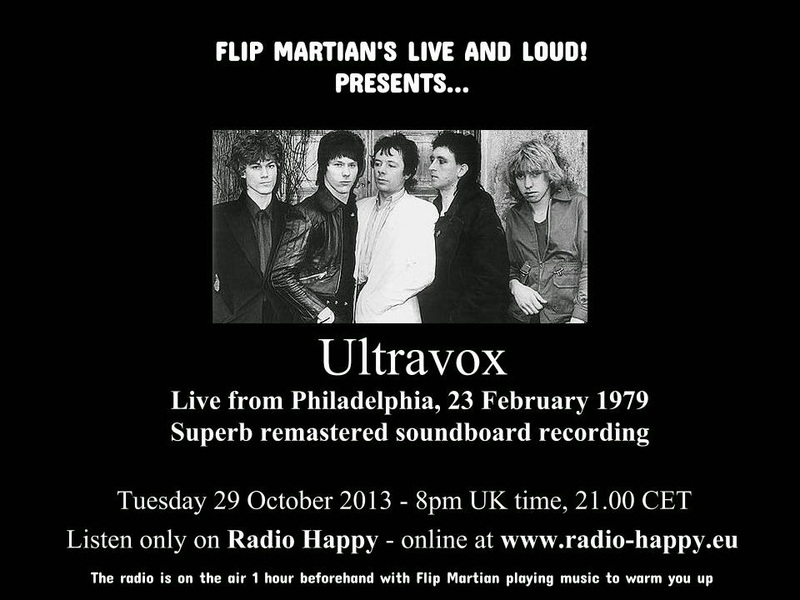 Another show from Ultravox now - from their very last tour of the USA just before singer John Foxx and guitarist Robin Simon decided to leave and Ultravox were effectively put on hold until Midge Ure joined later on that year and they reinvented themselves. A clear soundboard recording, this has responded brilliantly to some EQ and mastering and sounds crystal clear. Enjoy! *2018 edit: While preparing this old show as separate files for a donator to the site, I found I could now improve the sound quality further, over what I’d originally done to the recording several years ago. You can now download this new version (as of 2018) HERE as 1 new 320kbps MP3 file. Great sound! Terrific effort, much appreciated. Sadly the link doesn't seem to work. That's right - links were taken down just before you tried, as it happens - see my post at the top of the page. Links WILL be back up over the next week or so - files are moving to new servers. Cheers. The Ultravox my cool friends were into before me - I was still pining for Kate Bush - and it was after the changes you mention that I got into the band. Cheers for a fine job you're doing with all these remasters.